In Manfredonia the Tartaday will be celebrated with a public meeting organized by the CRTM of Manfredonia managed by Legambiente, with the local fishermen community (10.00am Centro Velico Gargano, Cala dello Spuntone - West Pier) on "Sustainable fishing and protection of sea turtles" . In Riccione, Fondazione Cetacea, invites young and old to a series of initiatives starting from 17 August with appointment (10.30) at the recovery center of Riccione to attend the meal of the turtles hosted, to continue then the day afterwards with lots of information and awareness events, games with prizes and release of the Ernesto tortoise (at 10.00 am at the Kalima Beach Club in Viserba). Other releases of sea turtles will take place on 20 and 27 August from the Beach of the Two Sisters (AN), the 22 at sea with departure from the beach of Baia Vallugola (PU) and the 24 from the Bagno 33 Cattolica (RN). 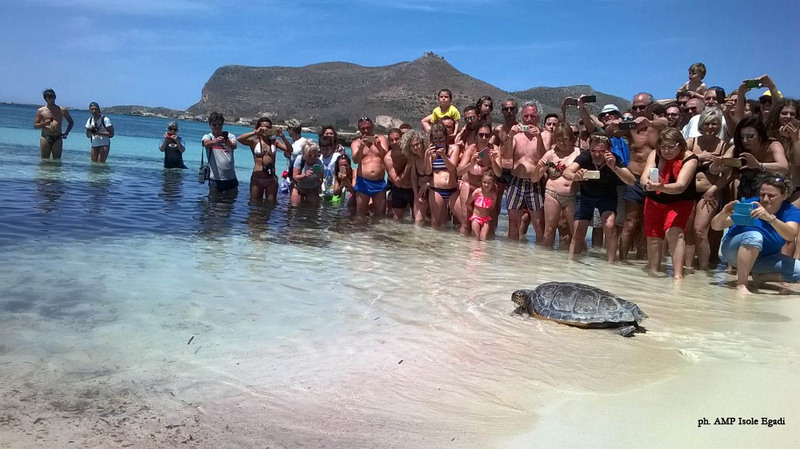 In Agrigento for the Tartaday, the Libero Consortium of Agrigento has organized, on the beach of Punta Grande (Realmonte), a day of information on the problems of marine biodiversity that will end with the release of a specimen of sea turtle cured in the Recovery Center of Lampedusa. The event is scheduled for 11.30 am on the beach of Punta Grande and will be preceded by entertainment activities for children and teenagers. Also tomorrow, 17 August, the "Aegadian Islands" Protected Marine Area and the First Aid Center for Sea Turtles will celebrate the Tartaday with various activities including an environmental education meeting (at 09.00, at the Marsala Sailing Club) , the liberation of Isaac, a sea turtle hospitalized in the CPSTM of the ISP of the Aegadian Islands, accidental victim of professional fishing but saved by the fisherman who had found her harnessed in her nets and (at 19.00) fun-educational appointment to discover the turtles marine for children. The conservation of Caretta caretta, a priority species included in App. II/IV of the Habitat Directive and protected in various international Conventions, has been representing a strategic issue for the whole Mediterranean basin, with professional fishing being the main threat for the survival of marine turtles: every year about 130000 turtles can be accidentally caught accidentally in the Mediterranean.